Discussion in 'Fable Modding' started by VinDiesel, Mar 11, 2019. I'm making a strategic retreat from the randomizer. I hit a few roadblocks that I'm just not going to be able to overcome for a while. It's not all bad though. In my work and in my reading I have developed a way to produce new, fully functional levels! Kinda. 1. It can only be a copy/pasted map onto an existing map. Luckily, half of the maps are unused, so no shortage. 2. The map you're pasting to has to be the same size or larger than the map you're copying from. Same size is better, some workaround is required otherwise. 3. The heightmap of the destination map must remain the same to respect the terrain, elements being copied to the map must be adjusted to the different terrain... an in-depth mod using this would require new graphical elements to make the new map feel like a different map and not something cheaply glued together. Obviously it still needs a lot of tuning, but it's just to test if it works and it does. The new guild is a fully functional village with shopkeepers and villagers. They have working navdata, which means they go to work, eat and sleep at the right places at the right times and the guards patrol and hunt down the player as they're supposed to. My end goal for this is to produce a metropolitan area, copying all of the major residential/village areas into walled parts of the same city, and move minor quests, demon doors, sword in the stone, silver key chests and more into this new city. To help with this project I created a resource that shows the X by Y dimensions and area of the maps and whether or not they're used by the game and in what capacity. Notes: Nonvital or interior maps can be "moved" to allow their landscapes and heightmaps to be recycled in a more useful way. The chamber of fate for example has 96x96 square meters of unused and unseen landscape. Moving the map over an imaginary area using a less desirable landscape holds no bearing on gameplay, since the player won't even be able to tell, but allows the flat and uniform space to be populated by navdata from 10 other maps of the same size: ArenaExterior, ArenaHallOfHeroes, Darkwood_8, GraveyardCircle, GuildWoods, HobbeCaveNymphFocal, KnotholeGlade, StartOakvaleMemorialGarden, Witchwood_2, Witchwood_7. Other transfers from used to unused of the same size are much more straightforward. For maps of a different size, like the guild and prison island, shown in the image, the heightmap must be serialized and sorted by x and y cells and the excess data must be removed before pasting into the target map. Tedious but not difficult. This is the project I'll be working on until I can overcome the obstacles with the randomizer. Some nice work there and good to see you learning as you go, been very interesting seeing the progress. Impressive stuff VinDiesel, glad that people are still being creative with Fable after so long. Thanks for your support lee. A quick update on this is that I'm studying the navdata format to figure out how to implement custom navdata. It's not 100% known and understood by the modding community but understood well enough that Chocolate Box can edit it (but not save it, unfortunately) and the format spec left on the modding wiki has been extremely helpful in this endeavor. The plan is the same, use unused maps to make new maps. But copying and pasting is very limited and not practical, forcing my hand to get more involved. In other news I'm working on combat redesign for a rebalance of Fable that would integrate existing mechanics more fully. So axes and pickhammers might have very similar base damages but will perform better or worse depending on if the opponent is armored. This gives incentive to switch weapons around instead of just packing the strongest weapons. People might argue that it's a pain going back and forth through the inventory, but people will do it in TES games. Still, I had an idea for that too. 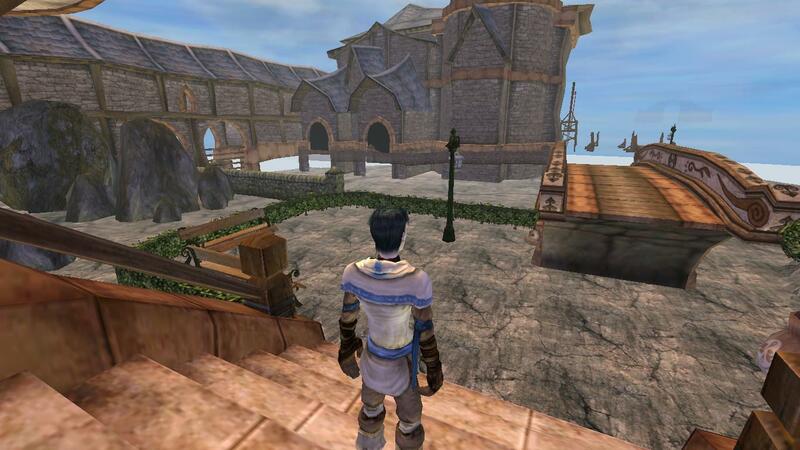 The modding on Fable has always been extremely challenging and only a few very talented individuals have ever got something decent out of it. I respect anyone who can delve into it to get something working. I love your ideas of rebalancing the weapons and creating new areas. I have seen a fantastic mod called Dragon Temple that uses an unused area and cut weapons to produce some brilliant new content. Good luck VinDiesel . Dark Drakan and VinDiesel like this. Ran into some issues with my original combat revamp idea. Before we get started, here is a quick data dump of the armour entries in tab-delimited format. It can be copy/pasted into a spreadsheet for readability. The original idea was to create dummy augment types and assign them to weapon types, allowing me to program weaknesses/resistances according to "augment" types that boost specific weapons. I was aiming at something like the perk system in Skyrim where axes can be made to do extra damage to unarmored enemies while maces can be made to ignore armor ratings. This is done for multiple reasons, but basically it gives the game an easy way to understand how to handle a weapon with multiple augment types. For example, if I have fire and lightning, you just add up those bits and you get 12. So the idea was to just make additional augment types following the same bitwise patter: 1024, 2048, 4096 and so on. While it works for the first one, anything after that crashes. So my next idea was to hijack augment combinations: 3, 5, 12, etc. Instant crash. So I'm limited to 11 augment types, 12 if you count none (which incidentally can be made to have an effect). Additionally, multiple augments of the same type can exist. While they'll behave the same in armour entries, their individual augment properties can be altered. This affects sharpening, health, mana and experience augments. Let me break down what all that means in terms of possibilities. Option A: Existing augments can be enhanced and thoroughly integrated across all armour classes, making them matter for every encounter. Multiple classes of the same augment can exist, conferring different bonuses: Piercing I can be base piercing, Piercing II can add a damage bonus, Piercing H can also regenerate health, Piercing IV HME can do 40% more damage universally, grant extra experience and regenerate health and will while still doing extra damage to armour types weak to piercing augments. Of course better augments will be made extremely expensive and extremely rare or hard to find/get. 512 - *Special, changes/adds a few melee combat animations, maybe used for a legendary? Upgrading from iron to steel to obsidian to master to legendary will offer a similar Axe I, Axe II, Axe III, Axe IV, Axe V type bonus as in option A. While investigating the armour entries, I found also that you can globally change how much damage enemies take from melee damage, ranged damage, damage from specific spells and incidental damage like explosions which is better integrated but not extensively or in a balanced manner, so I also want to go through that. I feel that doing this, in combination with changing weapon damages, health ratings, combat styles, attack patterns, enemy counts, enemy weapons, potion/food bonuses, spell mana cost, skill upgrade cost, weapon prices and availability, is going to completely reinvent the way Fable feels to play.